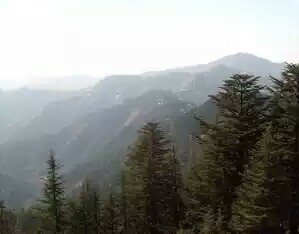 Kufri is one of the best tourist place in district shimla, Himachal Pradesh. Kufri is located at a height of around 2300 metres and almost 7450 feet. Kufri is small tourist hill station situated at around 13-14 km from capital shimla. Kufri name of hill station is derived from word 'kufar' which means lake in local language. History of kufri, geography of kufri, tourist places in kufri best time to visit kufri and how to reach kufri etc. Kufri was part of kingdom of Nepal including shimla and was unknown for world. Later it becomes part of Sugauli Treaty under British empire. In year 1819 Britishers developed this area as a tourist place. Kufri is located at a height of around 7500 ft. ,it is situated at 31.10 degree north and 77.25 degree East. Kufri is located at around 13 km from capital shimla and 6 km from other famous destination Fagu. There are so many places which are centre of attraction for many of the visitors in kufri, shimla H.P. Some of them are here given below. Himalayan nature park kufri is spread over 90 hectares of area , it is aground vvv GT 18 km from shimla. Himalayan nature park is located at a height of around 2600 metres. 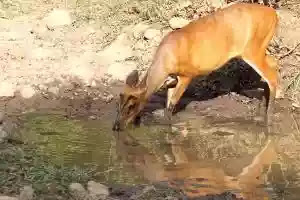 Himalayan Nature Park include himalayan animals like Leopard, Brown Bear, Musk Deer, Bharal, Black Bear, Tibetan Wolf, Leopard Cat, Sambhar, Ghoral, Barking Deer, Monal, White Crested Kaleej and Cheer pheasant. 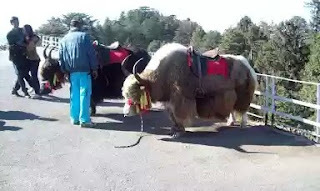 Kufri fun world is another tourist destination where tourist can spend whole day. Kufri fun world is a joy park with lots of facilities for speacilly kids. Kufri fun world have world's highest go-kart-track. Park is equipped with various rides and pools. Huge number of children, teenagers and adults visit this place. Mahasu peak is one of the best destination in kufri shimla, it is few km from shimla. There is no proper facility of skiing in mahasu peak but local operators organise skiing for tourists. On a clear day , bandrinath and kedarnath peaks are seen from mahasu peak. Chini bungalow is located at kufri and is famous for its statues and architecture. Indira nature park is a park which gives panoramic view of locations around. It is near Himalayan nature park kufri. Near kufri , few kms short of Naldehra is Craignanoo, the biggest fruit Research centre in Northern India. Fagu is also one of the most beautiful place to visit. It is near kufri . Fagu is around 6 km from Kufri shimla. In summer kufri is best place because of its peaceful environment. 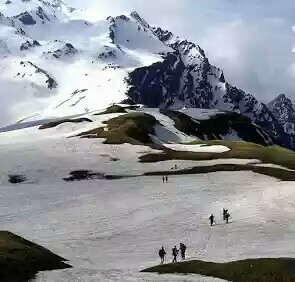 In winter kufri becomes more beautiful destination for visitors because in winter they can enjoy skiing etc on this hill station. How to reach kufri ? Rail: Shimla, Shoghi and Kandaghat are nearest railway stations.